With miles of some of the prettiest scenery in Texas for outdoor adventures and hundreds of welcoming businesses and local attractions, Bastrop, Smithville, and Elgin are full of exciting diversions. From action-packed sports to leisurely rest and relaxation, there’s no shortage of great things to do in Bastrop County. Below are a few of the most popular ways visitors spend their time here. For even more ideas, check out the handy Bastrop County Field Guide. Bastrop, Smithville, and Elgin each have charming and historic Main Street districts that are chock full of artist studios and galleries, antique shops and boutiques, and excellent eateries. They’re also the place to find fun recurring events like Sip, Shop, and Stroll in Elgin and First Friday Art Walk in Bastrop. There are more than enough fascinating pieces of the past remaining in Bastrop County to turn any visitor into a history buff. The city of Bastrop boasts more than 130 homes with historic markers, while Elgin has been named a National Main Street Community by the National Trust for Historic Preservation on the strength of its 14-block historic district. For a more in-depth look at the area’s history, stop by the Museum & Visitor Center of the Bastrop County Historical Society and take in the permanent and temporary exhibits with artifacts dating back more than 200 years. You can also experience the area’s history at the Bastrop County Courthouse and Old County Jail. 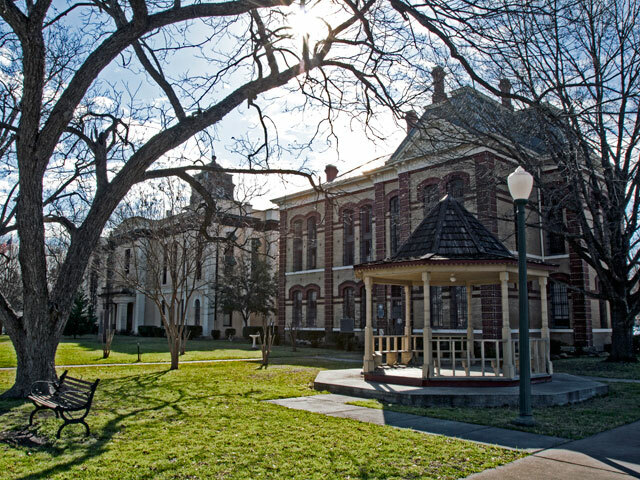 Tour the 1883 courthouse and check out old photos of Bastrop, then step inside the jail to see the infamous hanging hook on the second floor landing. With the Colorado River and Lake Bastrop inside its borders, Bastrop County has all the H20 you need to stage your favorite water-based activities. The six-mile El Camino Real Paddling Trail and the 14-mile Wilbarger Paddling Trail offer a relaxing stretch of the Colorado on which to paddle a kayak or float a tube, as well as drop a line as sport fishing is excellent along this part of the river. 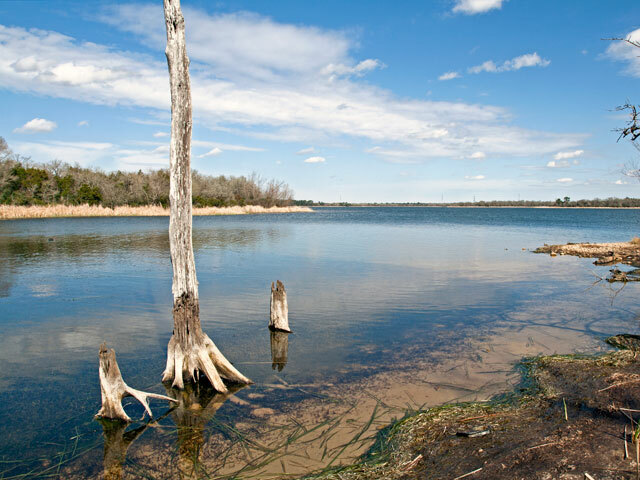 Lake Bastrop is another place to go for angling and boating, fishing piers, hiking trails, campsites, and more available. Speaking of camping, outdoor lovers come from all over to enjoy Bastrop County’s natural beauty, especially its two fantastic state parks. Bastrop State Park suffered from fires and flooding in recent years but has surged back to be as beautiful as ever. Campers are flocking back to the park to hike on seven miles of trails, fish the lake, swim in the famous pool, bike, and watch the wildlife. Though it’s smaller in acreage, nearby Buescher State Park features all the activities of Bastrop State Park but a bigger lake and slightly less traffic. The naturally hilly terrain and forests of loblolly pines provide a scenic backdrop for cycling, and the winding 12-mile road that connects the two parks is an idyllic cycling route best suited for experienced riders. Dozens of wonderful eateries call Bastrop County home, including two in Elgin that have perfected the timeless art of barbecuing. To many, Meyer’s Elgin Sausage reigns supreme in the sausage category, serving up mouth-watering pork and beef varieties, as well as tender, slow-smoked brisket. 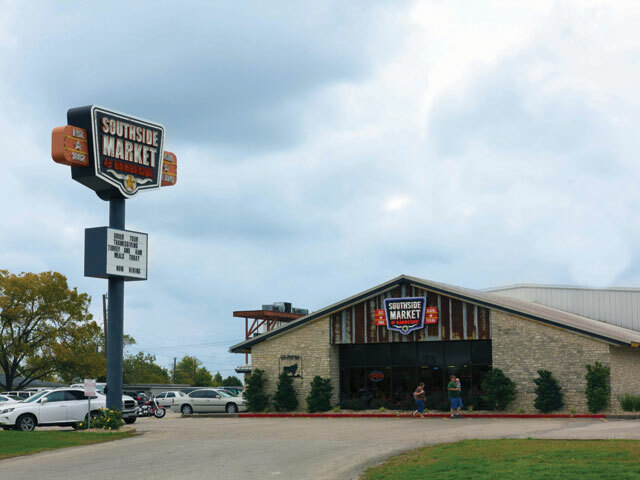 Its neighbor, Southside Market and Barbecue (which also has a location in Bastrop), holds the title of “oldest barbecue joint in Texas” and is considered by some to offer the best barbecue in the Austin area. While there’s enough delicious barbecue to sink your teeth into, there is much more to enjoy. Throughout the county you’ll have your choice of just about every style of cuisine. No matter where you are in Bastrop County, you won’t be far from some seriously good eats. Golfers in Bastrop County have access to three lovely courses that take advantage of the gorgeous Lost Pines landscape and deliver a truly memorable round. Play your way through the 18 holes at ColoVista Golf Club and you’ll enjoy breathtaking views of the Colorado River and a front and back nine that play very differently. The natural undulations of the Central Texas landscape are a feature in the 18-hole courses at Wolfdancer Golf Club and Pine Forest Golf Club as well. Tee times for all three courses can be arranged on each club’s website, making it easy to get in a round or two while you’re in Bastrop County. With so much gorgeous scenery for a muse, it’s no surprise Bastrop County has developed a thriving arts community of its own. In fact, Bastrop and Smithville have received a Cultural Arts District designation from the Texas Commission on the Arts for the local art galleries and cultural venues. While you’re in Bastrop, check out the displays of paintings, sculptures, and works in other mediums at the Lost Pines Art Center and admire the monuments created at the Deep in the Heart Foundry. Then head on over to Smithville to see a play or a musical in Playhouse Smithville, an intimate 60-seat theater that hosts shows nearly year-round. Texas has witnessed an explosion in its number of wineries, breweries, and distilleries, and Bastrop County has been a big part of that trend. The Bone Spirits Distillery in Smithville has quickly become a favorite of fans of bourbon, gin, vodka, and moonshine, offering tastings of its “farm-to-table” products in a cozy setting. Armadillo Texas Whiskey recently opened in Cedar Creek and Copper Shot Distillery has opened in Bastrop. Bastrop’s Cripple Creek Wine & Gifts serves as a centralized location to purchase wines from some of Texas’ best-known and most award-winning winemakers, including Messina Hof and Pedernales Cellars. For a wine made in Bastrop County, stop by Colorado River Winery and sample its reds and whites, including a Texas Tempranillo and a chardonnay. From historic bed and breakfasts to cabins on the lake and charming hotels, there are a plethora of places to stay in Bastrop County perfect for recharging your batteries in comfort and style. For a truly luxurious getaway, it’s tough to beat the Hyatt Regency Lost Pines Resort and Spa. 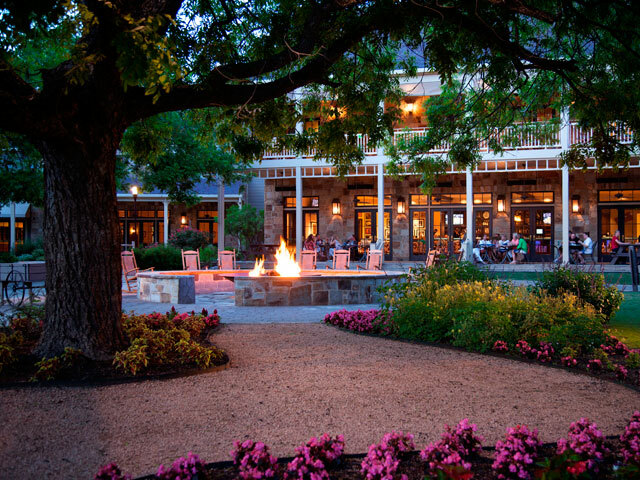 With a lazy river, nine restaurants and bars, horseback riding, tennis, outdoor movies, fire pits, and (of course) spa, the resort is a dream getaway from the city nestled in the pristine Lost Pines. Want to get away and disconnect from all the distractions of modern life? Pick out a campsite or a cabin at Bastrop State Park or Buescher State Park, or, if you want to do some “glamping,” spend the night under the stars in a yurt at Green Acres. There are many more ways to rest easy in Bastrop County. See them all here.